Surrounded by the 24,000-or-so islands in its sparkling archipelago and painted in warm shades of yellow and orange, Stockholm has to be one of the world's most beautiful capitals. If you know this Scandi beauty is the one for you then scroll down to our guru's list of the best places to stay in Stockholm. If you're not sure, here are some good reasons to visit. Stockholm is glacially cool. The setting is spectacular; the cafe culture thriving; the nightlife world-class; the food original. In summer, you can swim in the sea, sail, walk, hike and take full advantage of the extra long days. Stockholm in winter is as romantic a destination as you could imagine. Stockholm is an easy city to explore with kids. All the stations have lifts and buses and trams have spaces for several pushchairs. Plus travel is free for under sevens. There's also a lot of colour to this city and plenty of variety to keep little ones going. Many people speak English and the vibe is friendly. Stockholm is also so small that you can readily walk to most central addresses, avoiding hideously expensive taxis. Small ships and ferries dart in and out of the islands and docks ready to transport you to other parts of the city, or out into the archipelago. The hotels fit nicely into this pattern. There are a couple of very conservative properties, but most celebrate Sweden’s love affair with modern design. Long before Ikea, Swedish designers excelled at furniture - particularly chairs. Almost all the best places to stay have turned to this tradition and you can expect to find in them examples of the best modern furniture. It is usually comfortable, colourful and beautifully made. The old town, Gamla Stan, is the maze of cobbled streets you'd hope it would be, the museums and Royal Palace are packed with treasures. Yet there are still plenty of wonderful little design boutiques and foodie treasures to discover for yourself. If you fancy being right in the thick if it then bustling Norrmalm is definitely the place for you. Wander along Drottninggatan, a fully pedestrianised shopping street, or check out the lively market stalls at Hötorget. With its impressive architecture and high-end stores, Östermalm is often compared to New York's Upper East Side. 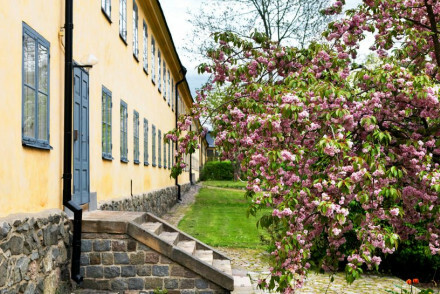 Take a long stroll through the lovely Humlegården park before visiting one of the area's many museums. Whilst not as centrally-located as other neighbourhoods, Vasatan's still a terrific spot for visiting Stockholm. It's got a lively buzz to it, with plenty of restaurants, bars, and antique shops to enjoy - plus, it's relatively inexpensive in comparison to its counterparts. The islands of Skeppsholmen and Djurgården are lovely areas - close enough to the centre for all your sightseeing needs, whilst also offering a fair degree of tranquillity with their waterfront parks and gardens. Gamla Stan is where a lot of the historic action is packed, as this is where Stockholm started in the 13th Century. The houses are tall and narrow and there are lots of matching windows. As well as the Royal Palace, this is where you'll find the cathedral, the Nobel Museum and the Riddarholm Church. South of Gamla Stan is another island worth visiting: Södermalm. This is where you can see some of the most wonderful of the old houses. Check out Hornstull Marknad, Stockholm's hip flea market. It's open every weekend from April to the end of September and as well as the usual eclectic range of stalls, you'll find some of the best food vans in town. The Vasa Museum is high up on most visitors to do lists. It's a stunning exhibition of a 17th century ship which sunk on its maiden voyage and has been beautifully and meticulously restored. Close to the Vasa, you'll find the Abba Museum! Fantastic fun for all ages. Stockholm is not cheap, but our list of the best places to stay in Stockholm will offer you value for money. None of them is extreme; all are honest, clean, well run and eager to please you - like Stockholm itself. 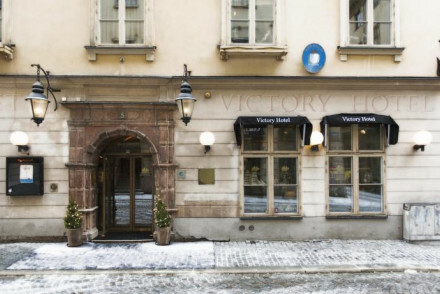 The Victory is a cheerful and eccentric family-owned boutique hotel on Gamla Stan. The 45 rooms are decorated with some great naval antiques and memorabilia, plus there are two fantastic restaurants. 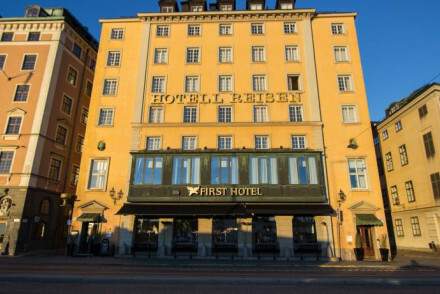 The First Hotel Reisen is a grand hotel with classical proportions in Stockholm’s old town. There are 144 smart, tastefully decorated rooms and a Franco-Swedish restaurant. It might surprise you to know that the bar hosts DJs. The Clarion Sign is a big hotel - it’s got 558 rooms - in a stunning modern building. The design is very Scandi, with lots of glass, wood floors, curvaceous chairs and white walls. There’s also a fantastic rooftop pool and spa. 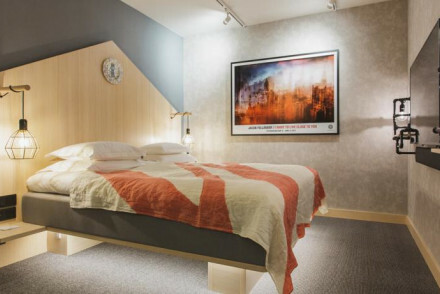 The Nordic Light Hotel is a 1960s era building with minimalist interiors and some super cool lighting effects. The 175 rooms are all-white and contemporary and there’s a Californian themed restaurant. Miss Clara by Nobis is a continental style hotel with Swedish design. Brand new, in a great location two minutes walk from central Stockholm. With 92 rooms, a restaurant, bar and sauna, this is a quiet, comfortable place to stay if you want to spend about €115 per night. Hotel with Urban Deli is what it says, a hotel, deli, convenience store, rooftop bar and lounge. It’s also trendy, with industrial inspired design and fusion cuisine. 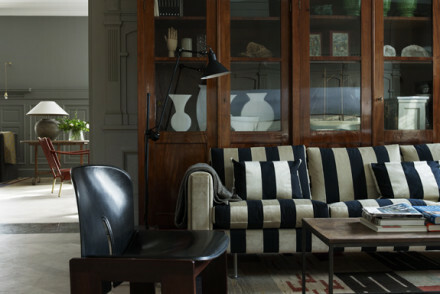 The Lydmar Hotel has the best location of any of Stockholm’s design hotels. With 46 rooms it’s also not too large. The decor marries old and new to great effect and there are four-poster beds and sleek modern pieces side by side. There’s also a lively terrace bar. Overlooking the harbour, the Grand Hotel is full of historic elegance. The public areas are grand affairs worthy of the Nobel Prize winners who stay here. They have several restaurants, a 1* and a 2** Michelin recommended so it's also a top spot for foodies. 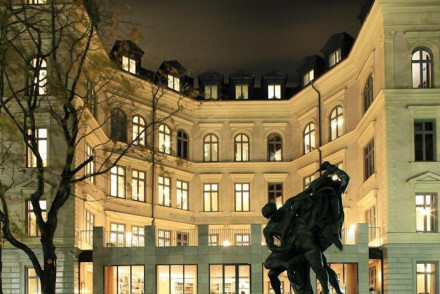 The Berns Hotel is a nightclub, concert venue and popular restaurant, as well as being a centrally located boutique hotel. Scandi design through and a lively atmosphere. The Nobis Hotel is a modern luxury hotel with 201 sophisticated rooms, a beautiful bar and restaurant and a perfect location. It sounds simple but it’s definitely worth a look. The Esplanade is an old-fashioned pension in an excellent city central location on the water. There are 34 large Art Nouveau style rooms with period furnishings and great views. There’s a small sauna and breakfast room. 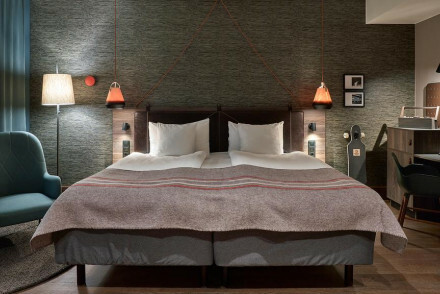 Right in the centre of town, the Story Hotel is the epitome of Swedish chic - minimalist, but with plenty of style. There are 87 large rooms and suites with plenty of natural light and boutique furnishings, plus a fantastic restaurant and bar. 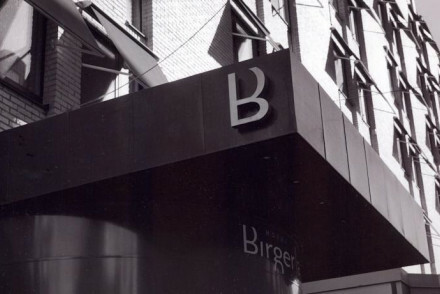 Birger Jarl is perfect for a city break and if you love design. Leading interior designers have been given free rein here and much of the furniture you'll only have seen in style magazines. A very central location and lavish breakfast included make this ideal if you're only here for a few days. 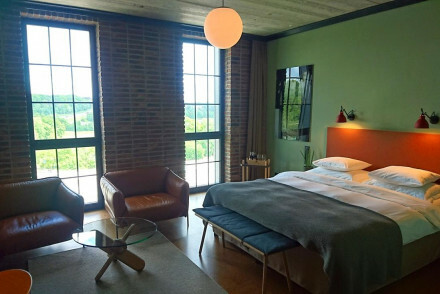 For something even more intimate try Ett Hem, a 12 room home-from-home with welcoming communal spaces in which to have a drink, an enviable art collection and contemporary furniture. The open fires, rough boarded floors and candlelit rooms of Browallshof will have you cosying up in no time. Making it wonderful for romance. On weekends, you'll find many locals visiting this home, built in 1731, experiencing how their wealthy forebears lived. Take advantage of all the light at Skeppsholmen, one of the best places to stay in summer. Once Royal marines barracks, these lofty rooms have been decorated in very Scandi white on white. The island the hotel is on is central, but still quiet. 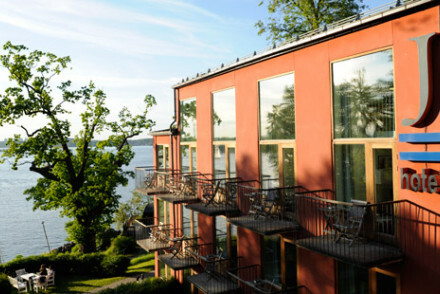 The Pop House Hotel is a cool, four-star hotel on leafy Djurgården Island. Close to many museums and parks, this is a quieter spot. The 49 rooms are simple and stylish and there’s a French/ American restaurant. The Hotel J is a large, waterfront hotel just a short boat ride from the centre of town. There are 158 nautical themed rooms - some with private balconies overlooking the water and a large open-plan living area, plus two excellent restaurants and sprawling gardens. 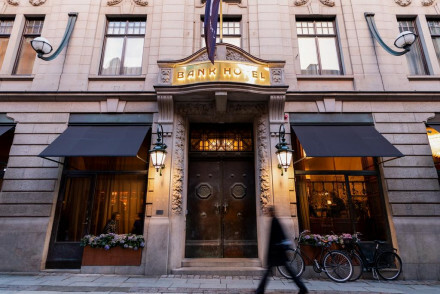 Just three stops from the centre of town on the metro, the Hotel Rival is one of the best places to stay in Stockholm if you want to be where the action is - both historic and modern. The hotel itself has perfected this hybrid. It's classical but fresh. Built in 1937, but packed with modern art and with a cinema and bakery as well as bars and bistro. 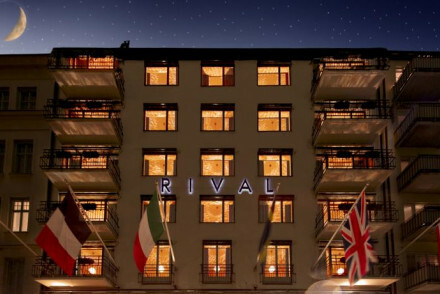 Rival is also a good choice if you love a boutique hotel but you're on a budget. 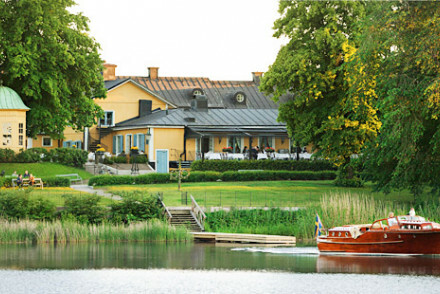 Stallmastaregarden is a farmhouse style hotel in a winning location between a beautiful lake and a natural park - but still just minutes travel from the city. The decor is Swedish simplicity with large, comfortable rooms. There’s an excellent restaurant and stunning grounds. If you’d prefer to stay in a private apartment we recommend you visit our online partner, Booking.com. Stockholm Arlanda Airport is served by BA, SAS and Norwegian, which is convenient if you’re travelling from the UK. There’s a bus called the Arlanda Express which takes you from the airport into the centre of town in 20minutes. Skavsta Airport is also close by and is popular with the low-cost carriers. Stockholm is beautiful in winter, but it’s also cold and very dark, so if you’ve not been to the city before you’re better off visiting between May and September when the days are longer. Summer is a popular time to visit, with temperatures in the mid-20s and daylight lasting until 11 or 12pm. Spring and autumn are quieter, which might appeal to you. Consider the best places to stay in Jarfalla? Or expand your search to include all the best places to stay in Sweden? Quirky prison conversion on a central Stockholm island with a buzzing communal terrace. 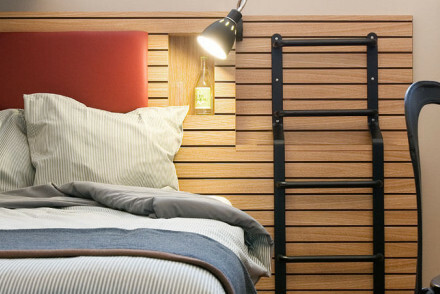 Smart, unfussy rooms hark back to their prison origins with simple metal bunks, bare walls and modern furniture. Really great for groups and families, with a popular beach area just a few steps away! Swedish design meets a continental approach to service and interaction in this brand-new, tastefully designed hotel. 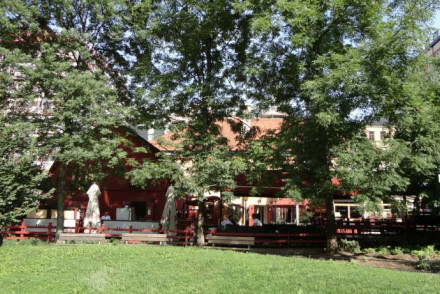 It offers a restaurant, bar, sauna and a great location - just 2 minutes walk from central Stockholm. This property is recommended for a quiet, comfortable stay in a beautiful city. Sights nearby - The Royal Palace, exclusive shopping and fabulous restaurants nearby. Delightful boutique hotel and winery with a gorgeous rooftop terrace and pool. Expect an original experience centred around food and wine with tastings galore. Industrial factory vibes are the order of the day with rooms featuring exposed brick walls, tall windows and hip modern fittings. A treat! Idyllic castle hotel with pretty gardens and lake views. Expect a pleasant balance of traditional and contemporary styles, with classic furniture, quirky decor and statement patterns. Individually decorated rooms vary from minimal Scandi-chic to opulent luxury. A romantic base to suit many tastes. A farmhouse style hotel in a winning location. A luxury rustic oasis set between a lake and a natural park, yet still minutes from the city centre. Pastels and Swedish simplicity in large rooms and suites. Excellent restaurant and stunning grounds. Extremely romantic, simply peaceful. Outstanding location - Set close to the bay and a natural park, yet still in the city centre. Charming - A delightful country side style haven in the city centre. Modern hotel bang in the centre with a lively bar and a rooftop offering amazing city views. Sleek interiors have a dark palette of greys accented by quirky furniture, while the smart rooms come in various styles, with fun wallpapers and modern decor. A handy and hip city bolthole. A warm and welcoming hotel with a romantic 18th century ambience and an excellent restaurant. Elegant decor - rough boarded floors, dark hues and candle lit dining room. Traditional Swedish cuisine. A charming spot with great links to the rest of the city. City Style - An elegant and intimate 18th century hotel, away from the hustle and bustle, with great access links to central Stockholm. Sights nearby - A 7 minute metro ride takes you into old Stockholm. Wander the cobbed streets and admire the 17th-century architecture. Great walks - Stroll through Vanadislunden Park just five minutes from the hotel. Sailing - Take a boat trip to view Stockholm's stunning waterfront. An elegant Parisian-style hotel in an early 20th-century mansion. Inside, expect grand crystal chandeliers and refined, classic furniture. Attractive rooms in a pretty palette of duck-egg blue and cream feature high ceilings and tastefully framed pictures. Don't miss the delightful French cuisine. Unpretentious hotel with strong modern design themes. Large, sleek, and individually designed bedrooms - parquet floors, prints, over-sized lamps, and imaginative touches. Trendy bar and calm lounge-restaurant. A superbly comfortable and stylish city destination. 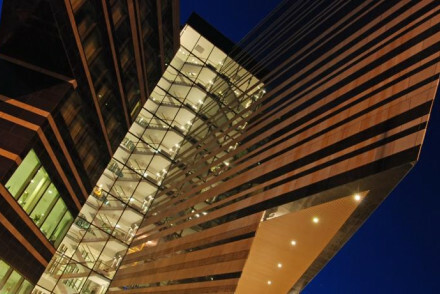 City Style - A stylish contemporary hotel well positioned in the city. Sights nearby - Visit the nearby Stockholm Observatory. Peaceful hotel with a terrace offering expansive views across the lovely garden to the large canal. Inside expect a stylish minimalism with unfussy patterned carpets and chic modern furniture, while smart rooms have pretty accents of colour and exude a cosiness perfect for the chilly months! A large hotel on the waterfront, just a boat ride from the city centre. Airy nautical themed rooms have all the mod cons and private balconies. Two excellent restaurants, big open plan living areas, and sprawling gardens. Ideal for families and couples. Families - Plenty of kids activities and facilities. Views - Lovely waterfront location. Sights nearby - Gamla Stan old town. Old-fashioned pension in an excellent central location. Large Art Nouveau rooms with period furniture, some overlooking the sea. A small sauna and breakfast room that will serve sandwiches throughout the day. Excellently placed for exploring the city. Local exploring - Right on the famed Strandvägen Street in central Stockholm, just a few minutes from the beach and all of the city's main sights. A 1960s style building with statement-making minimalist interiors lit up by tailored lighting effects. Large contemporary all white rooms with all the mod cons. A good Californian themed restaurant, two bars and a spa. Excellent value. Sights nearby - Located in the centre of Stockholm, just five minutes walk from the main square. 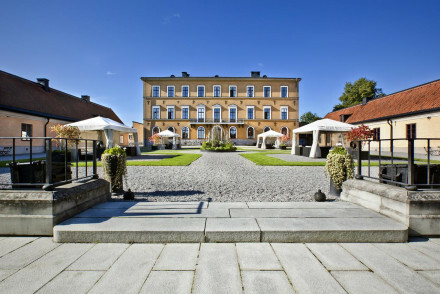 A cool 4 star hotel on Stockholm's leafy Djurgården Island, close to many museums and parks. Simple and stylish rooms, in black and grey colour schemes. The popular on site restaurant serves French and American cuisine to a high standard. Chic and charming. Business meetings - A hotspot for hosting events with a meeting room and a suite terrace that can accommodate upto 50 persons. Local exploring - Boasts an excellent location on Djurgården island, a less touristy option for exploring the sights. Sights nearby - The Swedish Music Hall of Fame cannot be missed. A trendy spot in central Stockholm made up of a hotel, deli, rooftop bar, convenience shop and lounge. Contemporary rooms boast oh-so chic bathrooms and quirky industrially inspired design. Urban Deli serves fusion cuisine and the rooftop bar is the perfect spot for an evening tipple. Fabulous. City Style - Keeping guests right on the pulse of Stockholm's scene with a great location, and buzzing entertainment areas in the building. Cooking classes - Take a cooking course in the deli's cookery school. 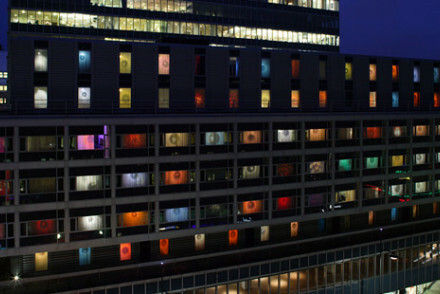 A sleek hotel housing a superb modern art collection set in a brutalist building in the centre. Albeit it rather swish, there's a friendly vibe with comfy sofas and pleasant lighting. Rooms have a subdued palette of elegant greys and typically Scandi-chic fittings. The cuisine is a real highlight. A charming Lady Hamilton themed hotel in an old 15th-century building. Interiors mix feminine and nautical elements, and feature pretty fabrics, fine rugs and framed pictures, while the rooms have charming stylised Scandinavian paintings and splashes of colour. Don't miss the generous breakfasts! A charming 16th-century townhouse in the heart of the city with a friendly downstairs café. Interiors feature wooden beams and old-fashioned latch doors, and the rustic-chic rooms are cosy with bare wood, pretty panelling and cheerful fabrics. A lovely little nest ideal for a quiet romantic getaway. 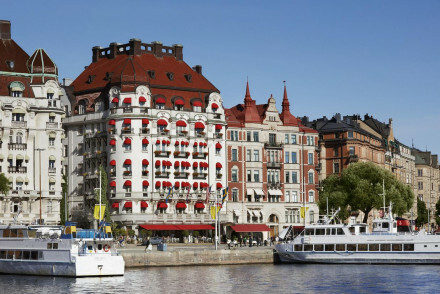 A grand hotel of classical proportions in Stockholm's old town. The rooms are smart and comfortable with tasteful furnishings. Enjoy Franco-Swedish fusion cuisine in the restaurant, followed by live DJ performance in the atmospheric bar. Perfectly placed for exploring Stockholm's city centre. City Style - A sophisticated and grown up location for exploring the sights of the archipelago's of Stockholm. Sights nearby - Centrally located, the hotel is only a five minute walk from the Royal Palace. A large stylish hotel in the heart of the city. Interiors have that classic Scandi-style mixed with a cool industrial feel. Offering an in-house cinema, spa, yoga studio and games room, to name just a few. A lively restaurant serves superb seasonal dishes and is popular with locals too. Fabulous. The Grand Dame of Stockholm, overlooking the harbour and the royal palace. Feel like royalty in the elegant rooms, magnificent suites, and grand reception rooms. Boasting two Michelin starred restaurants and a rejuvenating Nordic spa. A historic spot with to explore the city from. 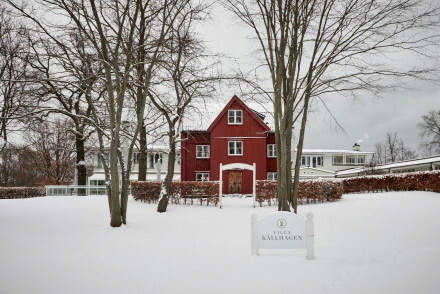 Foodies - Star-chef Mathias Dahlgren runs the two Michelin starred restaurant Matsalen, and next door Matbaren has one Michelin star! City Style - A magnificent property looking out onto the waterfront, boasting a Hall of Mirrors, a 1899 ballroom and a Winter Garden. Sights nearby - Visit the impressive Royal Palace, just across the road and well worth checking out. 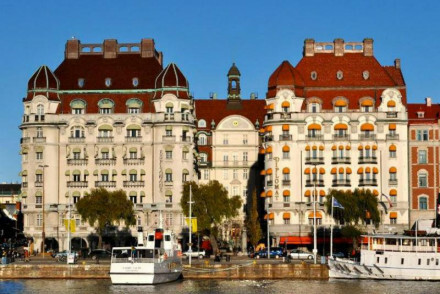 Waterfront hotel in an old Art Nouveau building with a buzzing restaurant. Expect a classic style with high ceilings and original period features as well as the latest modern comforts. Rooms exude a simple Scandinavian luxury with a muted palette of creams, very comfy beds and views to die for! A night club, concert venue and two restaurants set in vast regal rooms draw crowds (and recently, Rihanna) to this city-centre boutique hotel. Clean modern Scandinavian design can be seen throughout the rooms. A lively spot with a great personality. 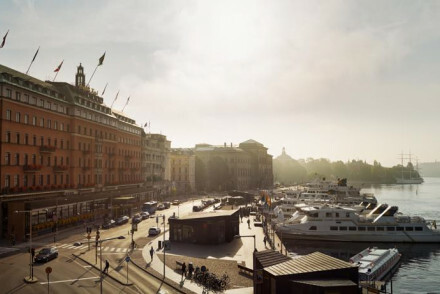 City Style - This trendy spot is one of Stockholm's best loved hotels and entertainment venues, dripping in elegance and glamour. Sailing - During the summer months take a boat out to the archipelago of Vaxholm. Fresher and friendlier than other boutique hotels, the Rival is the market leader in comfort and design. 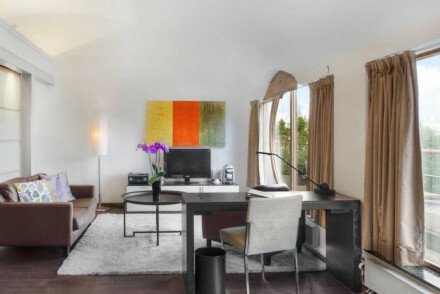 The rooms are chic, young and bright with wooden floors, lots of light, and modern artworks. The cinema, bakery and bistro on the ground floor are a winning combination. An ideal city base. City Style - This former 1930s cinema is now Stockholm's trendiest design hotel with chic uber cool interiors by top Swedish designers. 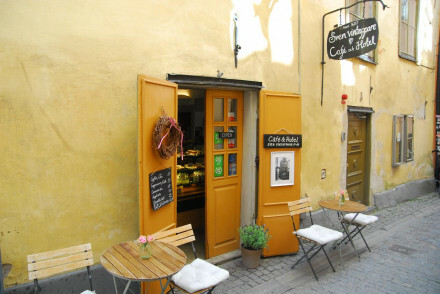 Great walks - Wander around the cobbled streets of Gamla Stan just 10 minutes from the hotel. Sailing - Take a boat trip to admire Stockholm's stunning waterfront. The epitome of Swedish chic - minimalism with a twist. Large rooms and suites have lots of natural light and contemporary boutique furnishings. Fantastic restaurant and lively bar. A trendy spot for movers and shakers. A minimalistic design hotel on a quiet island close to the city centre. White on white rooms with large windows, blond wood floors and uber modern bathrooms. Swedish food served in a relaxed friendly restaurant. Perks include a waterfront tennis court and yoga in the park. A modern escape. 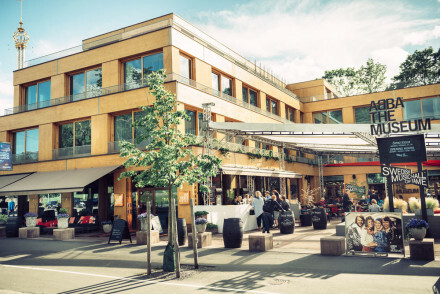 City Style - An achingly hip design hotel on the serene, leafy island of Skeppsholmen, but just short walk to the city centre. Sights nearby - The Royal Palace is one of the largest in Europe and stands impressively overlooking the water. 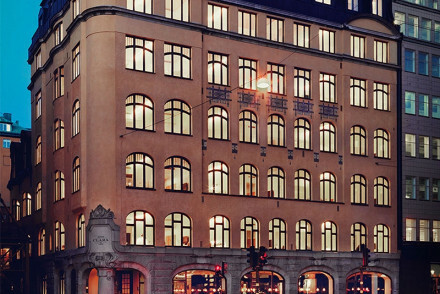 A big middle-market hotel that delivers the goods with a strong Nordic flavour. A dramatic building with ultra-modern interiors - lots of glass, wooden floors, curvaceous chairs, white washed walls, and natural light. Fantastic roof top spa and swimming pool. Well run and well located. City Style - A contemporary hotel in central Stockholm, with sleek suites, rooftop spa and stunning city views. Sights nearby - Visit the cities narrowest street, Mårten Trotzigs gränd, just one meter wide. 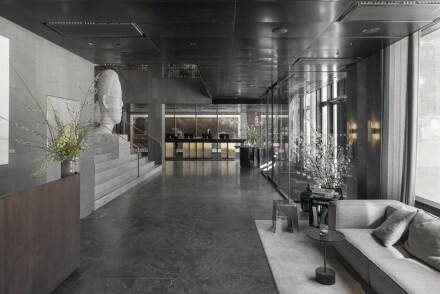 By redefining luxury for today’s traveller, Nobis will become Stockholm’s leading luxury hotel. Sophistication and elegance oozes from every room - natural colours and materials and fine craftsmanship. Beautiful bar and restaurants and extensive meeting rooms. A five-star for the 21st century. Sights nearby - Walk the cobbled streets of Gamla Stan, old Stockholm, and admire the 17th-century architecture. Cheerful, popular, and eccentric family-owned boutique hotel. Naval antiques and memorabilia fill every nook. Two fantastic restaurants, warm cosy rooms with large windows and modern bathrooms. A characterful property well located for exploring the city. 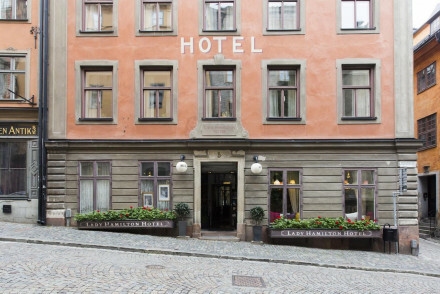 Local exploring - A characterful hotel on the medieval island of Gamla Stan, the oldest part of Stockholm, perfect for exploring. Sailing - Sightseeing boatrips leave from the quayside outside the Grand Hotel. Great walks - Wander around Gamla Stan and admire its 17th-century architecture. 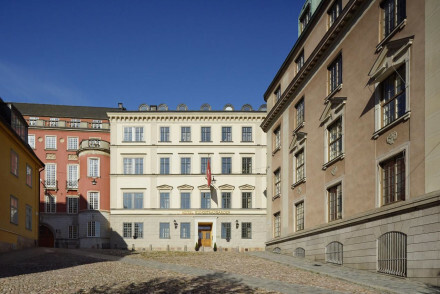 Sights nearby - Visit the nearby Kungliga Slottet (Royal palace). The best located of all the modern ‘designer’ hotels in the city. Interiors marry old with new to great effect, think period features, four-poster beds, plasterwork, and sleek modern furnishings by international designers. The lively terrace bar attracts a young hip crowd. A chic choice. Romantic Break - A quintessential Stockholm stay for two, this chic hotel boasts a trendy terrace bar, luxe rooms and unmistakable style. Sailing - Archipelago boat tours regularly depart from Strömkajen Harbour 100m from the hotel. Sights nearby - The Storkyrkan and Riddarholm churches and Royal Palace are nearby. 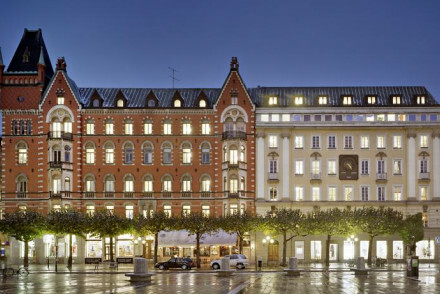 Originally a bank, now a chic hotel, in an unbeatable spot in the smart Östermalm district. Good design has merged the original grand architecture with softer, cleaner contemporary style. The rooms are bright and spacious, decorated with modern art and featuring Diptyque Paris products. Fabulous. Ett Hem means 'a home', and this is exactly what the owners wanted for their understated, classic boutique hotel. For guests to take off their shoes, pour a drink and relax. Enviable modern art is assembled with classic and contemporary furniture. Faultless concept and interiors for a chic break. Suites - Every luxurious room is individually decorated with natural products including Gotland stone, sheep skin rugs.